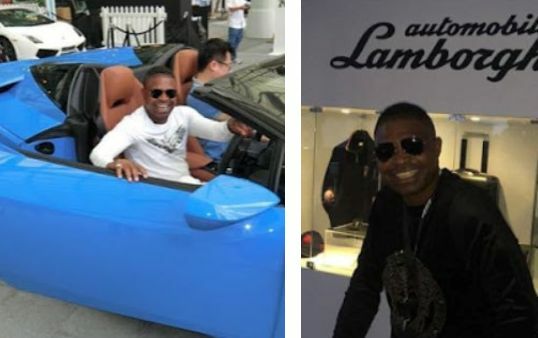 45-year-old Nigerian man, Paul Gabriel Amos, who had previously been charged in a United States court for swindling Citibank was charged in a district court, Singapore on Wednesday, October 25 with laundering S$1.7 million. On October last year, Amos went viral after he was arrested for reckless and dangerous driving. Amos, who is a Permanent Resident in Singapore and married to a citizen, also faces 8 charges under the Corruption, Drug Trafficking and Other Serious Crimes (Confiscation of Benefits) Act. According to Web, Amos was prosecuted in a New York district court in 2009 for committing bank and wire fraud, according to a The New York Times report. He was accused of duping Citibank of S$27 million in September 2008 by using documents purportedly signed off by Ethiopian bank officials instructing the bank to wire the sum to accounts controlled by Amos and others around the world. While he was held in the US for a few months, Amos was not convicted. It was not stated in court whether the money laundering charges Amos faces have any connection to his earlier case in the US, although they concern alleged offences committed around the same time. One of the charges against Amos allege that he facilitated the transfer of S$987,526.40 into an OCBC account in Singapore in October 2008 so that an individual named Robert Umohette would be able to retain his benefits obtained from a criminal conduct. Who this individual is and what the criminal conduct was are not known. Towards the end of the same month, Amos also allegedly received stolen money amounting to S$426,995.55, which he stashed in a DBS bank account here. He is also accused of transferring S$300,000 of ill-gotten gains to his Citibank Maxisave account. Other charges allege that Amos spent S$373,528 on personal expenses, including paying S$31,400 deposit for a BMW car, and paying suppliers and IT consultancy charges. Amos also faces three counts of traffic offences, including driving without a valid licence and dangerous driving. 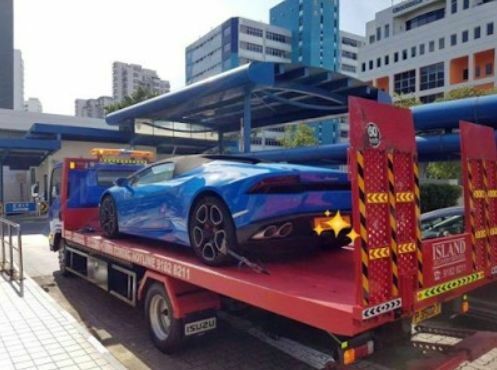 On Oct 2 last year, he allegedly drove a blue Lamborghini despite not having a Class 3 driving licence. He is accused of recklessly cutting lanes along the East Coast Parkway that day. Footage of the incident was captured on a dashboard camera in another person’s car and was posted online. Amos has been released on S$150,000 bail and will appear in court again on Nov 22. If found guilty of money laundering, he could face up to 10 years in jail, or a fine of up to S$500,000 per charge, or both.